Over the past several weeks, Kombucha Town has been hard at work transitioning our tasty kombucha culture to an even MORE tasty kombucha culture -- now with organic sugar, in addition to organic teas! Kombucha Town is excited about the transition, and our entire team was actively involved in taste tests as the culture transformed. Let us tell you, all of our flavors are tasting just GREAT! The new organic sugar is a little more sweet and a little less caramelly, which really helps smooth out that tart kombucha flavor, especially with our Blueberry White and Guayusa Mint kombuchas. The transition to organic sugar was the last step needed in order to begin organic and non-GMO certification processes. (Did you know the Non-GMO Project, the nation's leading non-GMO certification organization, is our neighbor in the Herald Building?) Those certification processes will take several months, so stay tuned for updates. 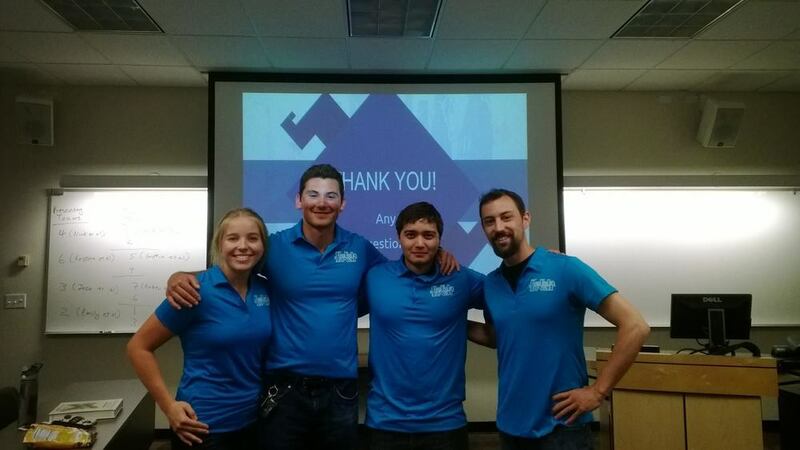 The Western Washington University Business and Economics Department approached Kombucha Town in spring 2015 about working with a group of students pursuing bachelor of science degrees in Manufacturing and Supply Chain Management. The students worked on a variety of projects for Kombucha Town throughout spring quarter -- most importantly, successfully securing a cost-effective supplier for organic sugar. Thank you, Brandon, Daniel, Jesse and Erica! You can see some photos of the team giving their final presentation below. The "new and improved" Kombucha Town kombucha should be on shelves soon -- be sure to let us know what you think! Please send comments to info@kombuchatown.com.